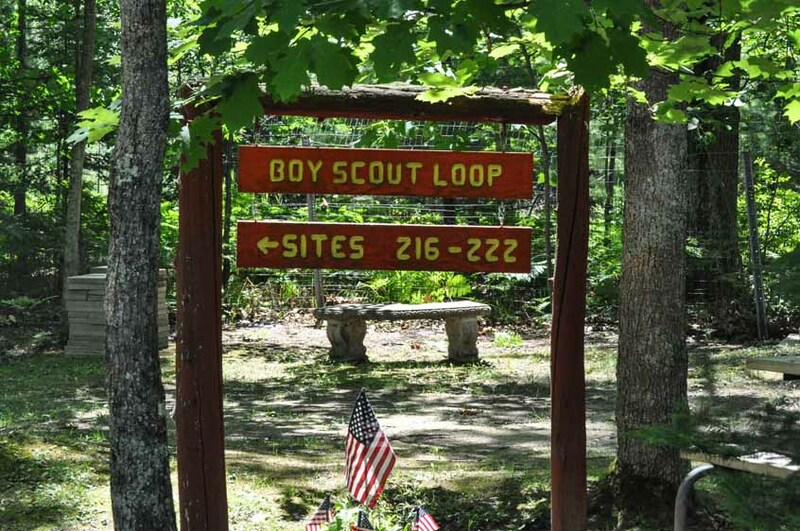 Lost Valley Campground is a unique campground with 217 seasonal sites, 15 nightly camping sites, and one rustic cabin. 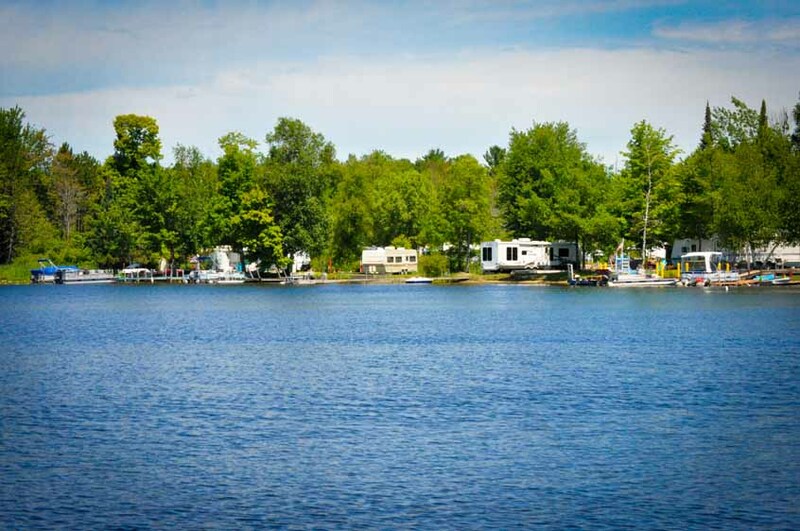 The campground is located on East Twin Lake. 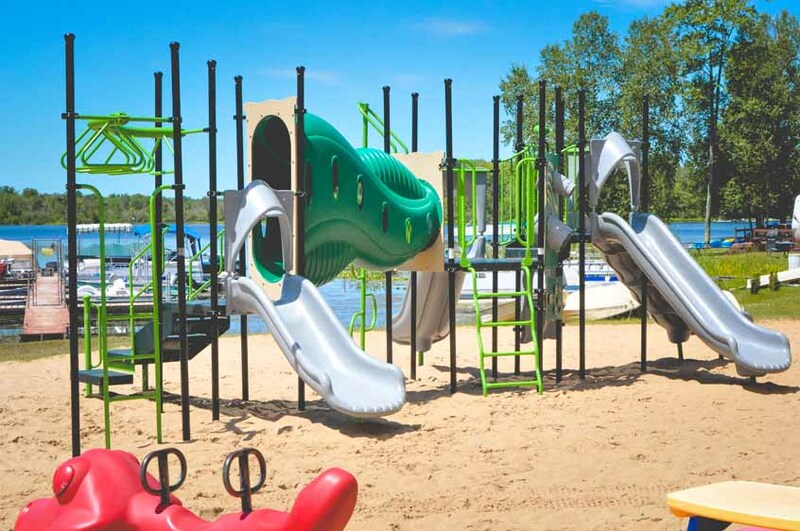 We have a beautiful sandy beach and playground to keep the kiddos entertained. These are just a few of the amenities that Lost Valley has to offer its guests. 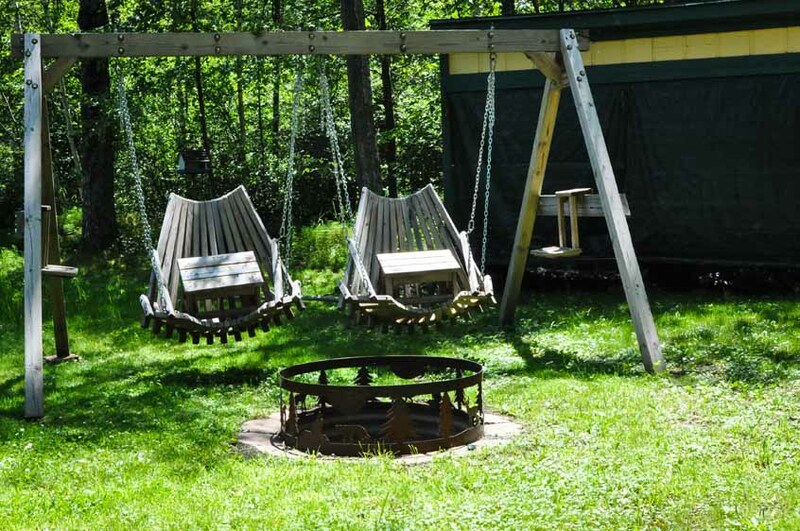 Many other activities are also provided to enrich the camping experiance at Lost Valley Campground. "I have been going since I was a kid. Now my kids are enjoying the same great place I did. We love it here." "The staff at Lost Valley are very professional and excellent to work with!" Stay up to date on the weekly activities. Click on an event to view its details. Where getting lost is half the fun! Check-in time is 1pm. 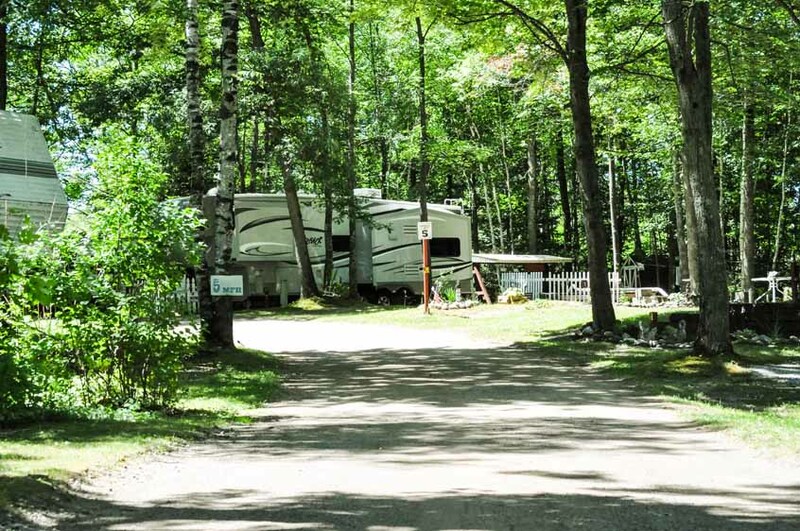 Rates are for one family with one camping unit per site. A 50% deposit is required for reservations, with the balance due 2 weeks prior to the check-in date. Holiday weekends are to be paid in full at the time of the reservation. 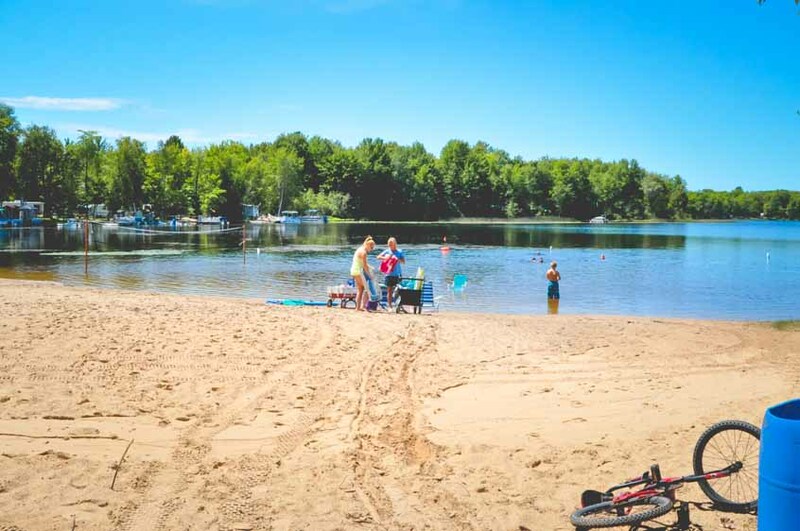 Deposits are refundable for CAMPING only if the cancellation is made more than 1 week prior to the check-in date and 2 weeks prior to the check-in date for holiday weekends. *Holidays: July 4th, Memorial Day, Labor Day weekend, and Lost Valley’s Halloween weekend. One camping unit and two cars allowed per site. Absolutely NO fireworks, firearms or unlicensed vehicles. Pets are not to be left unattended. Clean up after your pet. Pets are not allowed in the pavilion, bathrooms, beach or playground. Children must be supervised. Children under 18 must be on their site by 11 PM unless accompanied by a parent. 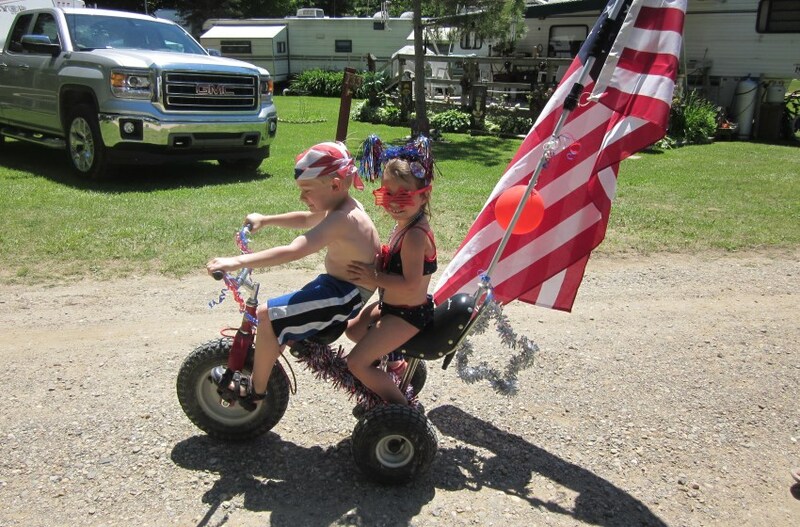 If you or your child is hurt or injured it is not the responsibility Lost Valley Campground, inc.
No under aged drinking, we will call the police. East Twin Lake is a no wake lake. Trolling only. The designated swim area is not supervised. Swim at your own risk. Fenced areas are private. Respect other people's property. All fires must be in an appropriate place and extinguished when you retire. No garbage is to be burnt in fire pits, with the exception of paper products. Dumpsters are located near the front of the park before you exit. BAGGED GARBAGE ONLY!!!!! DO NOT flush diapers, napkins, paper towels, etc. Dispose of these item in the garbage provided. Campers are responsible for their guests. Damages will be your responsibility. Absolutely no digging or pounding objects into the ground without management's authorization. Damages will be billed to you. Quiet time in the park is 11 PM to 8 AM. Check out time is 12 PM on the date of departure. Lost Valley now offers a cabin rental, which is big enough to sleep 4 comfortably. This cabin is equipped with a Queen size bed, two twin sized hide-a-beds, a cot, a dinette set, mini fridge and toaster oven. A charcoal BBQ grill is located outside of unit also. 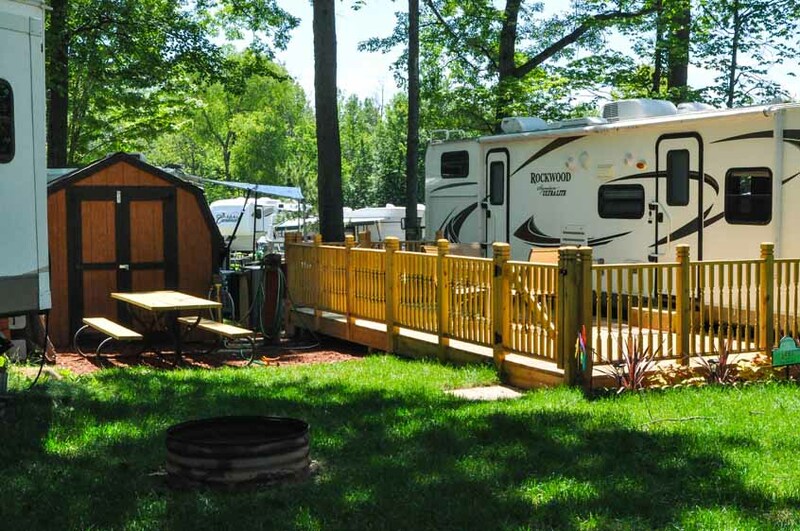 This unit has heat and air conditioning to keep all your little ones comfortable the entire camping season. Linens for the beds and pillows are found in unit. Don’t worry about the rainy days because this cabin has a satellite TV. This is a rustic cabin unit with no indoor bathroom, but it is located by a bathhouse that has restrooms, coined showers and coined laundry. Holiday weekend (Memorial Day weekend, 4th of July weekend, Labor Day weekend and Lost Valley’s Halloween weekend). Special cleaning fee applies. Unit will be cleaned once a week, but additional cleaning can be requested. A one time cleaning fee of $15 for any stays less than 7 days and a $15/week cleaning fee for any stays over 7 days is applied. Pets are an additional $25 per stay. Deposits for gate pass and keys are $20 per pass/key. This deposit will be issued back when pass/key is brought back to office in working order. Balance is due 2 weeks prior to check in or your reservations will be cancelled. Cancellations must be made 1 week prior to your visit or you will still be charged the full amount. 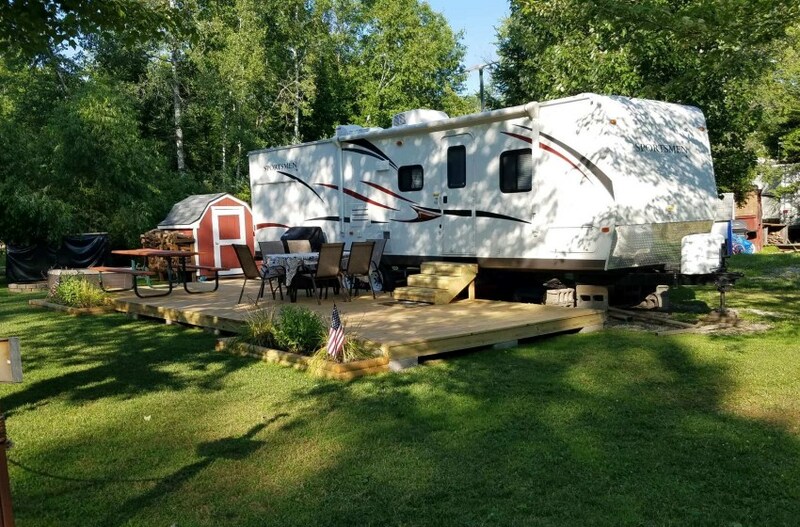 Seasonal camping at Lost Valley Campground will not only save you money and time, but provide your family with 6 months of camping, that is more like "cabin-ing". 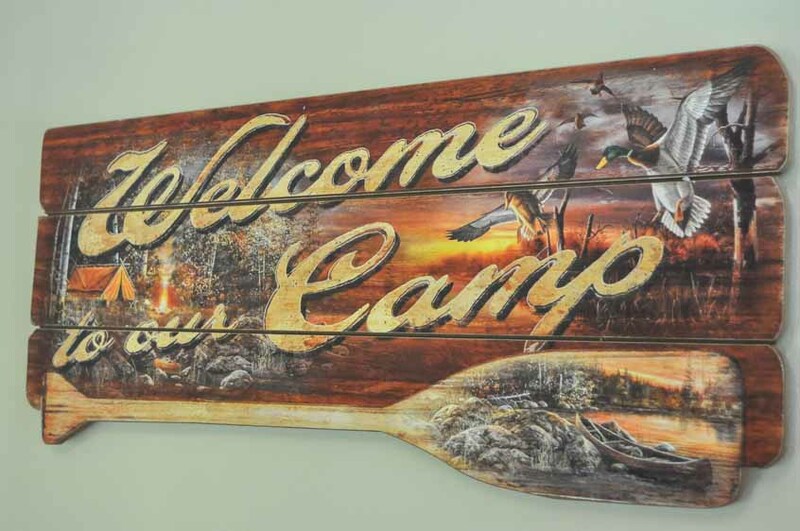 Seasonal campers at LVC have the advantage of making the campsite more like home! Our campers enjoy grilling out on their own deck, and cutting their own grass with a lawn mower they can keep in their own shed. They are able to make their lots into a home away from home. 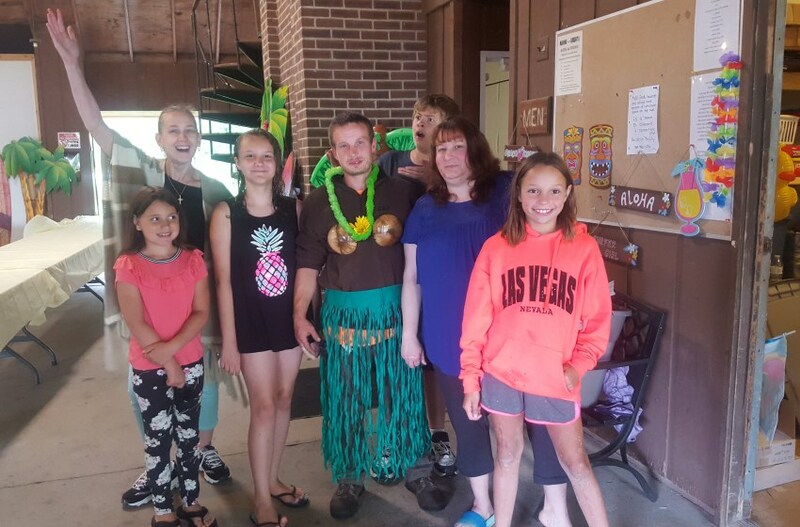 Some like flower gardens and others like it simple, but either way when you are a LVC seasonal camper you are able to create a special place for your family to enjoy. 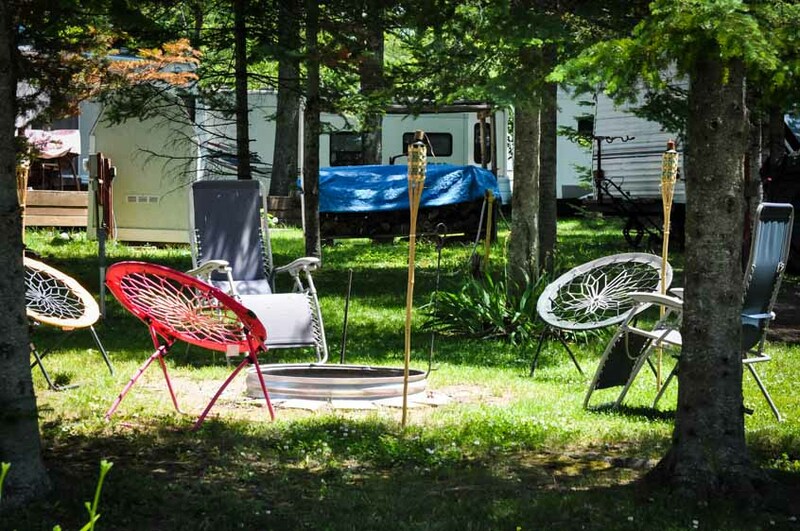 Contact Lost Valley Campground today to discuss your personalized and unquie camping experiance! The person renting the cabin must be at least 25 yrs old. We hope you will treat this rental unit as you do your home. So please be kind! 5 mph driving in our park! This is very important to ensure the safety of the children and guests here in our park. If you cannot drive 5 mph, you will be asked to park up front by the store. Please be sure to check your cabin upon arrival, if you find something not working properly please contact our office. We cannot issue refunds due to equipment malfunction, power failure, or satellite problems. However we will do our best to see that the problem is corrected as quickly as possible. Any dishes used in cabin unit should be washed the best you can and left out on counter. BBQ grill is located outside of unit. Please be sure the grill is cool before placing it next to the cabin or anything flammable. There is a one time cleaning fee of $15 for stays less than 7 days and $15/week of stays longer than 7 days. If the cabin is found to be a total mess, cleaning fees will be assessed and charged according to the state of the cabin. We have on file an inventory of personal property items located in cabin. Normal wear and tear is expected, but if any damages are caused beyond this we reserve the right to charge you for them. Please be respectful. No house parties, this unit is not big enough for such events. This unit is pet friendly, but there is a $25 cleaning fee for pets. Please remember to clean up after your pets especially in the cabin, yard and around the park. Pets must be on a leash at all times. Pets are not allowed to be on the beach or volleyball/playground areas. Renter agrees not to order pay-per view movies. 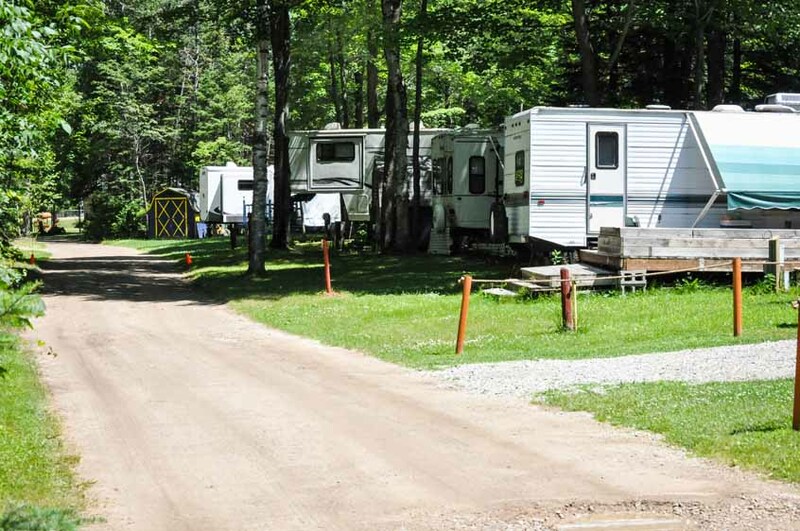 Renter understands that any accidents, personal injury, lost or stolen items are NOT the responsibility of Lost Valley Campground, Inc. or K & H Matthews L.L.C. Linens can be requested just bring them to office for new ones. A deposit for a gate pass is $20 and $20 for a cabin key. 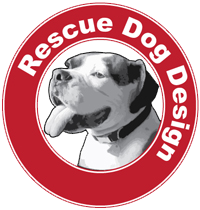 Please drop off gate pass or key to office when checking out to receive your deposit back for gate pass or key. If it is not returned, deposit will not be issued back to renter. If passes/keys are lost or damaged deposit will not be returned. Late arrivals, if you are going to arrive after office hours, please inform the office ahead of time and keys will be set-up for you to retrieve in mail-box next to store entrance. This cabin is NON-SMOKING and this is a state requirement. If you are found to have smoked inside rental unit, you will be charge a $250.00 fee. Quite hours are from 11:00 PM to 8:00 AM. Be respectful to your neighbors! Remember this is their home away from home, and they are here to enjoy themselves too! Please do not walk, drive or ride bikes on other sites/grassy areas. Wi-Fi can be found in the pavilion and the password will be provided. All docks are private property, please do not trespass. Please be sure to put out any camp-fires or BBQ grill before leaving site or retiring for the night. Rental for holiday weekends must be paid for 2 weeks prior. If payment is not made 2 week prior reservation will be cancelled. Cancelation policy is 2 weeks prior to stay for holidays and 1 week prior to stay for any other date. NO refund will be given if a cancelation is made after this date. Check in time is 3:00pm on the date of check in and check out is at 12:00pm on the date of departure. When checking out please leave the beds unmade as well as the couch if it was used. Make sure to clean all dishes used and place on counter to dry. Please leave the cabin in reasonable condition (which is similar to how you found it). Clean up any major messes. We want you to enjoy your stay, so please leave the cabin in reasonable condition and we will tend to the rest of it. Please turn heat to OFF and turn off all lights when checking out . Failure to comply with check out procedures may result in extra cleaning fee and/or late check out fees. 1. 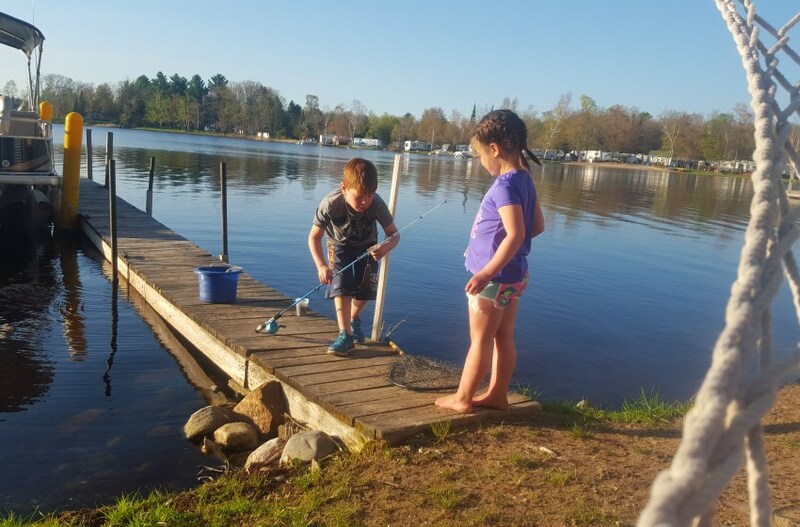 Camping season will be from May 1, 2019 to October 31, 2019. A tent or pop up is not permitted to be used as your seasonal unit. Water to the park will be turned on and running with the weather permitting, and water testing completion. Water to the park will be turn off according to the weather. A temporary tent may be used for parents or children only and removed when not in use. Quiet Hours are from 11:00 PM to 8:00 AM with the exceptions of special events (12:30 AM to 8:00 AM). Children under 18 are to be on their site unless with a parent after quiet hours. No riding bikes after dark unless flash light or headlight is equipped on bike. 2. 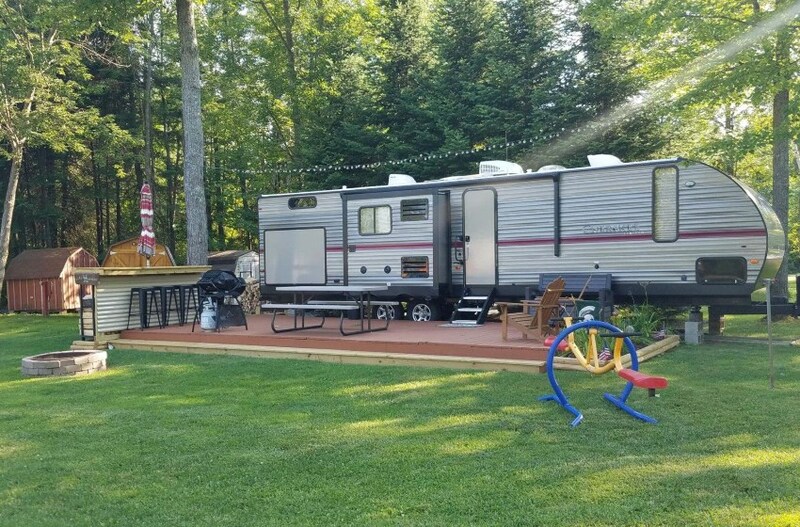 A deposit of half down for sites is required and must be paid by September 1 st, 2018 to retain your existing lot or to move new trailer in for new campers in November. The remaining balance of lease is due by April 1 st, 2019. If deposit or balance is not paid within 10 days of said due date, a $25.00 late fee will be added to lease. If Lease is not paid in full by May 1 st, 2018 lease could be terminated. Some lots are different pricing, please refer to invoice for lot rent price. LEASES ARE NOT TRANSFERABLE. SUB-LEASING OR RENTING YOUR SITE IS NOT ALLOWED. 3. 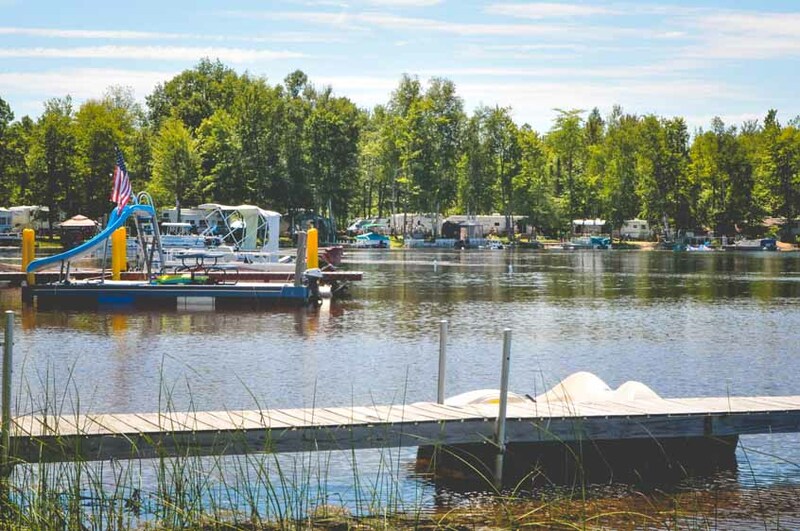 Campers who have a boat slip at our marina may retain their slip by paying 1/2 of the slip fee at the time of signing the next years lease. When slip is paid in full, camper will receive new key (for a $10 deposit). If you or your children would like to fish from LVC Marinas you can give a deposit for a Marina key to use dock, but an adult must be present at all time when using docks. 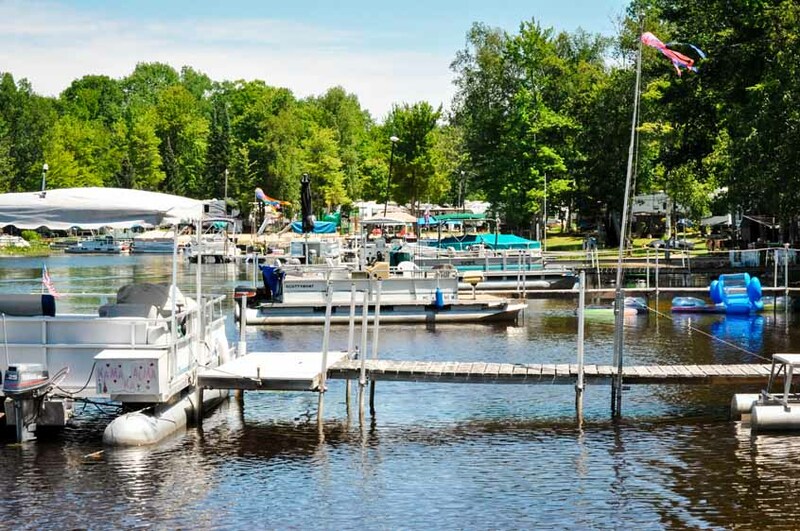 Marina will be in for Memorial Day weekend until Labor Day weekend. All personal docks on lease holder’s sites must be up to code and safe for use. Lease holder is responsible for maintaining docks and any personal liability or property damage. No dock may be placed on a site unless approved by lessor and lease holder of site. 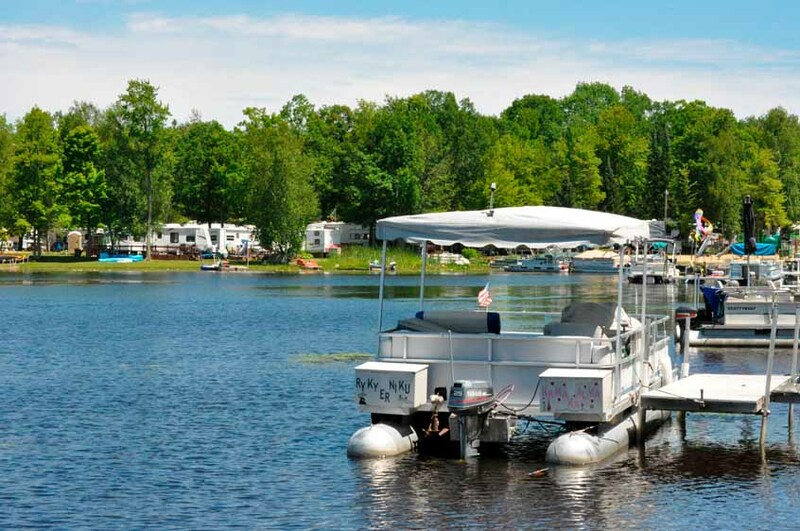 People who have their own docks are responsible for all injuries that occur on their docks. Lost Valley does not maintain these docks, the lease holder does. These docks are private. Trespassers will be prosecuted. 4. All camp sites will have 30 am p. metered electricity service. There are not to be extension cords from 30 amp. plug to the trailer. Meters will be read, and usage will be billed monthly between May 1 and October 31. Off season usage will be included in your first reading in the spring (May). Usage is billed at the rate set by Consumers Energy. *All bills are due upon due dates* At the time of renewing lease, all bills must be paid or a new lease will not be given. Rates are subject to change by Consumers Energy at any time. *Lateness may result in non-renewal. Each site will be billed X6 per season for electrical services. 5. Over Night Guests: All visitors staying the night in your unit will be charged $5.00 per person, per night, with the exception of immediate family (parents, grandparents, children, grandchildren) and those under 18 years of age. For security and safety concerns, we must be notified when others are staying at site. 6. Pump-outs are on Mondays and Thursdays, with the exception of holiday weekends they will be on Tuesday. There is a $10.00 fee for pumping out holding tanks, $5.00 fee for grey water tanks and $5.00 to flush tank if you are not on a sewer site. 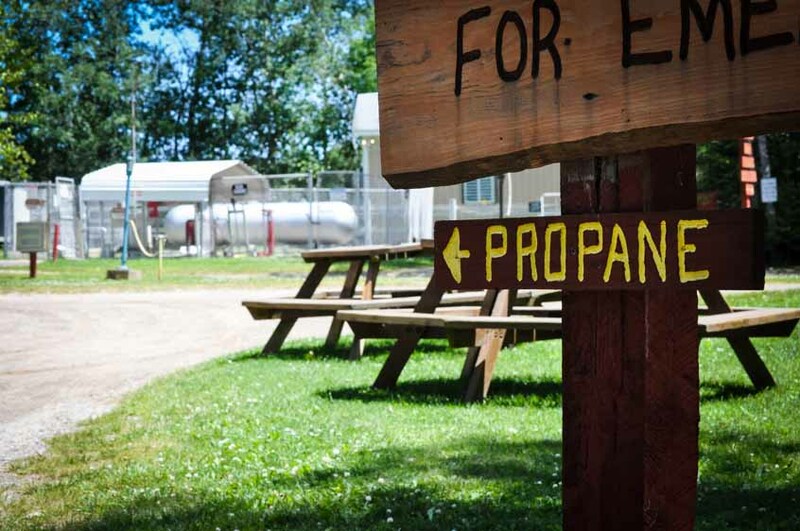 You must use chemical in your holding tanks and on sewer lots, or trailers will not be pumped. This fee is to be paid in advance. Sign up in store. DO NOT flush diapers, feminine products, napkins, paper towel, cigarette butts, etc. in trailer toilets or restroom toilets. If you need a tank dumped on any other day there is a $60.00 fee. 7. 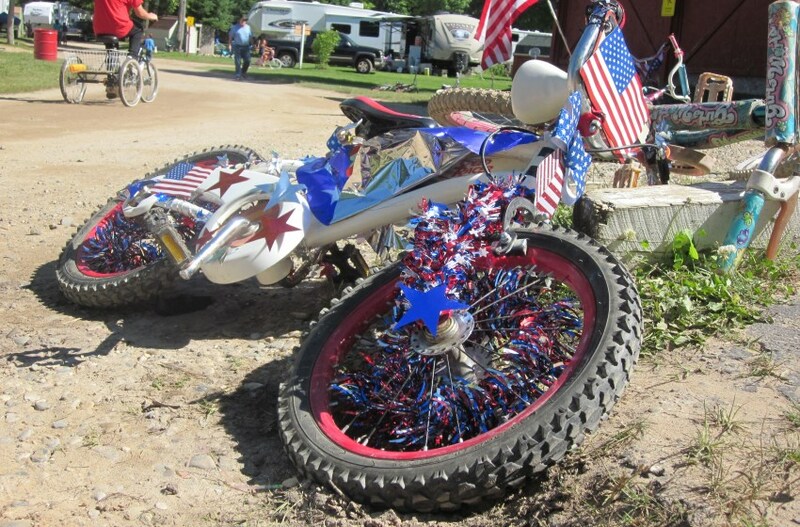 No fireworks, Chinese lanterns, firearms (Pellet Guns and B-B guns count as a gun), ATV's, ORV's, or unlicensed vehicles in the park. No unlicensed drivers. No drinking and driving. You will be warned once and after that you will be asked to park at the store. 8. When store is closed, for your convenience, there are envelopes provided on the exit side door, for pump fees, notes, are to be put through slot in door. Business is to be taken care of during store hours, and only at the store. Please fill out work orders to have a service performed for you. Work orders can be found at the store. No work order, no service will be performed. 10. Do not dig or penetrate the ground without management’s authorization. Subject to fine and costs for repair of any damage (water, sewer, electrical and phone lines are underground). Do not bury electrical cords. Please purchase a tri-pod for satellite dish or place them on your shed, but not your neighbors shed. Please build flowers bed above ground, rather than digging into the ground. 12. Do not put nails, screws, hooks or etc. in trees. A $5.00 fine per object found in tress on site will apply. Remove all clothesline at the end of the season. If planting trees, no willow species permitted. No trimming trees without management’s authorization. If you cut a tree, you must plant a tree. 13. All 100# propane cylinders must have a post and chain 12" from top of tank, with a patio block to set on. State Requirement. Tanks are furnished by Lost Valley and are not allowed off property. They are to be filled by Lost Valley. It is a $35.00 fee to have 100 hooked up. This includes patio block, post, chain, and set up. Propane and propane hose is not included. 14. Wood must be 12" off ground. All orders are taken at the store and must be paid before delivery. Delivery during store hours. 15. Shed/Barns size limit is 8'x8'x8'. Health Department requires that all decks and sheds must be 6" off ground. 16. Trailer length is 34'. New purchases must be 34' or smaller from tongue to bumper. 30 amp trailers only. 17. Pets must be on a leash at all times and are not to be left unattended. Pets are not allowed on beach, playground, pavilion or bathrooms. Take care of their business or they will be prohibited. 18. If we have to mow your lawn, the fee will be $50.00. String trimming and leaf pickup is extra. Please call ahead if you wish to have us mow your lawn, instead of waiting. It will cost you more if you do not call ahead. Do not burn leaves in roads. 19. Two cars per site. Lease holder and guests are to park on lease holder’s site. Do not park on other sites. 20. All fenced areas are PRIVATE. House area and driveways are also private. Please keep out unless an emergency. Please take care of all business through the store. If you arrive before or after store hours without gate pass you must walk to site. 21. 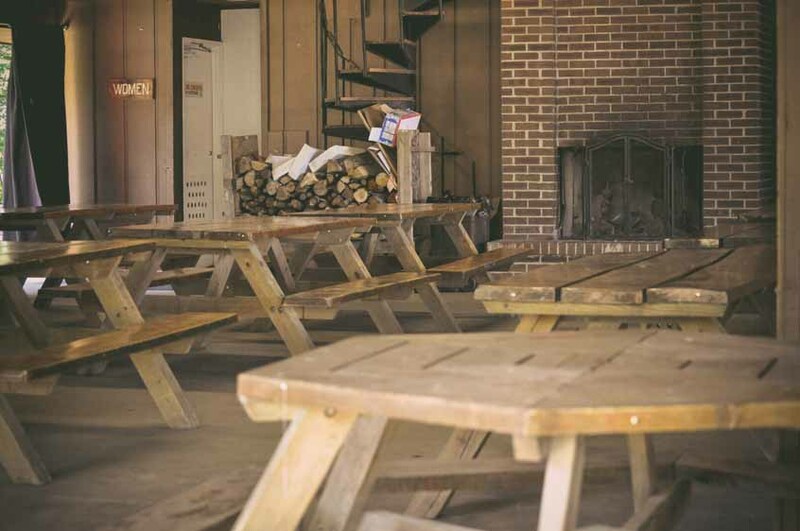 As a camper/Lease holder you are responsible for all personal liability and property damage. You are responsible for your children and guests. No underage drinking. 22. The speed limit is 5 mph. If you cannot drive this speed, you will asked to park up front and walk to your site. Please remind children to respect oncoming traffic. 23. Lease holder agrees to abide by all rules of Lessor. Written warning will be given out. Violation of any rule, shall be grounds for termination. Lessor reserves the right to evict any one at any time who disobeys rules. NO Refunds when you permanently vacate your site your lease is terminated. Lost Valley takes possession a t the time of termination. 24. This is a Lease Agreement Contract that starts on the signed date and ends 10/31/19. You are entering into a contract for a camping lease. You are responsible for your site until 10/31/19, along with any financial obligations that the site may incur. If you break your Lease Agreement Contract, no refunds are given, a $1000.00 fee for breaking your contract will be applied at that time. If you are feeling up for a game head on over to the courts and get started.